In 2018, Seze Devres launched a happy hour singles event early on in the night before her party Kiss & Tell. She creates a fun environment that encourages people to engage with potential friends and lovers at a cozy bar with a fun soundtrack. Tom Calahan from Techno Queers NY is the vivacious host and bangs a real gong at every 5 min interval. Screw dating apps. It is time to meet each other the old fashioned way, in person, by shamelessly flirting with each other at a bar. Come meet like-minded music obsessed friends regardless of gender and sexual orientation. Options will include romantic and simply platonic intentions. Queer, straight, or whatever: all are welcome! 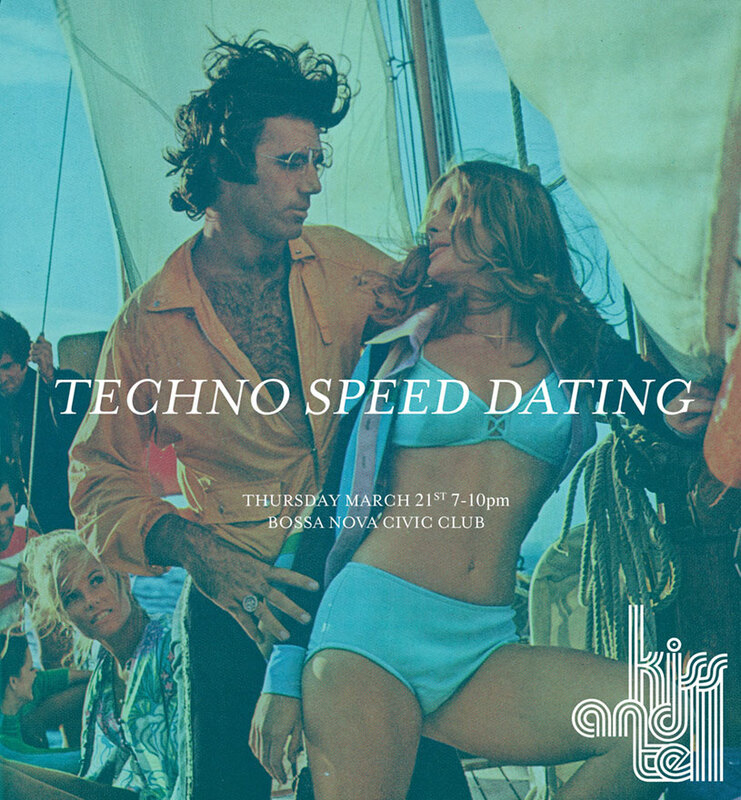 Check out this article about Kiss & Tell: Techno Speed Dating in Buskwick Daily!